On submission, the details you’ve entered above will be sent via a secure and encrypted connection to Honda Pro Racing’s servers. Redwing Media are our hosting provider and this is a pre-process requirement to send your information to our transactional email service, Campaign Monitor. Honda Pro Racing or Redwing Media will only store your information for the purpose of logging in to your media account, and we will never share your data. Honda Pro Racing’s servers are based in Maidenhead, United Kingdom. Campaign Monitor are a data processor & transactional email service sending millions of emails on behalf of thousands of customers around the world per day. Once the data arrives at Campaign Monitor, it is securely stored on their servers in North America. We use Campaign Monitor to improve your experience in receiving our emails. You have the absolute right to unsubscribe from our mailers, request the deletion of any data that we hold on you, or even request a copy of the information we hold on your behalf. To do this, please contact us. What data do I collect? Why do I collect it? For the distribution of racing news and information, through press release, SMS alert, preview and roundup emails, and to facilitate login access to Honda Pro Racing team media sites and control content download permissions, as expressly selected and consented by each user. We use email addresses to populate mailing lists to receive relevant Honda news via press release, and we use username and password to password protect media access to media download sites. What is the legal basis for processing? The deliverance of an information service for media and fans with a legitimate interest in Honda’s racing activities. 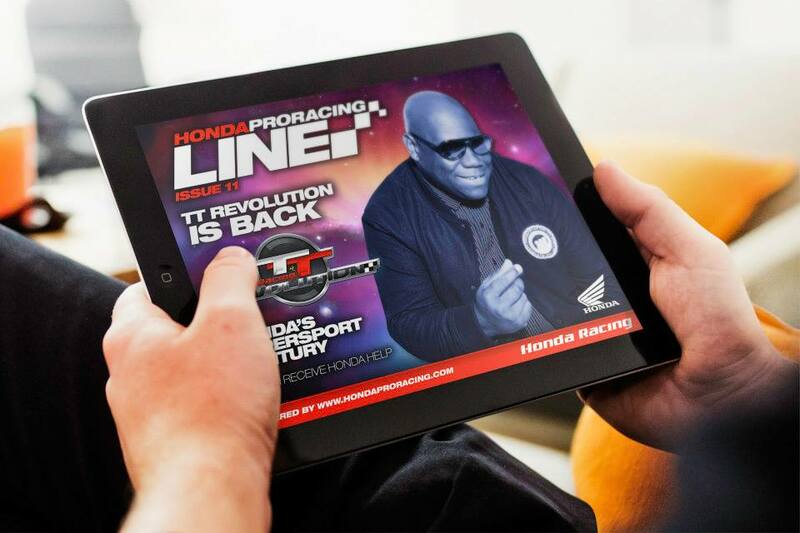 For the public dissemination of news relating to Honda’s racing activities worldwide. To assist interested media parties in the performance of their duties through the provision of rights-free content (written, image and video) relating to Honda’s motorsport activities. How do I collect it? Through user-completed registration forms on hondaproracing.com, featuring opt-in check boxes of the type and format of content each user consents to receive. What do I communicate with the data subject? Our Data Notice, available on the registration page, makes you aware of what we will communicate with you, based on what you specifically consent to receiving. Where do I store it? User details entered into the registration forms are stored securely in WordPress for the purpose of credentialed access to HondaProRacing.com and associated team sites. User name and email addresses are stored in Campaign Monitor for mailing list population. When do I delete it? Automatic soft and hard bounce removal of email addresses in Campaign Monitor ensure currency of mailing lists. Clear Unsubscribe buttons are present on mailers, and Campaign Monitor manages related suppression lists. Contact us for Right of Information and Right of Erasure purposes. Right to Information requests are fulfilled within five (5) working days, and Right to Erasure requests are fulfilled within 48 working hours (sensitive data, whilst data required to be held by law will remain secured stored as mandated in law). How long do I retain it? Until express removal as per above guidelines. How do I process it? Your email address and name are shared securely with Campaign Monitor for the deliverance of press release distribution only where you have expressly consented to do so, for the fulfilment of user requests for Honda race information via press release. Who do I share it with? We will share your data where you specifically consent for us to do so with Campaign Monitor for the population of mailing lists for the deliverance of press releases. We do not share your data with any other 3rd party.